Attention-Deficit/Hyperactivity Disorder (ADHD) is a psychiatric disorder that is most often diagnosed in school-aged children. Many children with ADHD find it difficult to focus on tasks and follow instructions, and these characteristics can lead to problems in school and at home. How children with ADHD are diagnosed and treated is a topic of controversy, and many people, including scientists and nonscientists alike, hold strong beliefs about what ADHD is and how people with the disorder should be treated. This module will familiarize the reader with the scientific literature on ADHD. First, we will review how ADHD is diagnosed in children, with a focus on how mental health professionals distinguish between ADHD and normal behavior problems in childhood. Second, we will describe what is known about the causes of ADHD. Third, we will describe the treatments that are used to help children with ADHD and their families. The module will conclude with a brief discussion of how we expect that the diagnosis and treatment of ADHD will change over the coming decades. Distinguish childhood behavior disorders from phases of typical child development. Childhood is a stage of life characterized by rapid and profound development. Starting at birth, children develop the skills necessary to function in the world around them at a rate that is faster than any other time in life. This is no small accomplishment! By the end of their first decade of life, most children have mastered the complex cognitive operations required to comply with rules, such as stopping themselves from acting impulsively, paying attention to parents and teachers in the face of distraction, and sitting still despite boredom. Indeed, acquiring self-control is an important developmental task for children (Mischel, Shoda, & Rodriguez, 1989), because they are expected to comply with directions from adults, stay on task at school, and play appropriately with peers. For children with Attention-Deficit/Hyperactivity Disorder (ADHD), however, exercising self-control is a unique challenge. These children, oftentimes despite their best intentions, struggle to comply with adults’ instructions, and they are often labeled as “problem children” and “rule breakers.” Historically, people viewed these children as willfully noncompliant due to moral or motivational defect (Still, 1902). However, scientists now know that the noncompliance observed in children with ADHD can be explained by a number of factors, including neurological dysfunction. The goal of this module is to review the classification, causes, consequences, and treatment of ADHD. ADHD is somewhat unique among the psychiatric disorders in that most people hold strong opinions about the disorder, perhaps due to its more controversial qualities. When applicable, we will discuss some of the controversial beliefs held by social critics and laypeople, as well as scientists who study the disorder. Our hope is that a discussion of these controversies will allow you to reach your own conclusions about the legitimacy of the disorder. Why Diagnose Children’s Behavior Problems? When a family is referred to a mental health professional for help dealing with their child’s problematic behaviors, the clinician’s first goal is to identify the nature and cause of the child’s problems. Accurately diagnosing children’s behavior problems is an important step in the intervention process, because a child’s diagnosis can guide clinical decision making. Childhood behavior problems often arise from different causes, require different methods for treating, and have different developmental courses. Arriving at a diagnosis will allow the clinician to make inferences about how each child will respond to different treatments and provide predictive information to the family about how the disorder will affect the child as he or she develops. Despite the utility of the current diagnostic system, the practice of diagnosing children’s behavior problems is controversial. Many adults feel strongly that labeling children as “disordered” is stigmatizing and harmful to children’s self-concept. There is some truth in this concern. One study found that children have more negative attitudes toward a play partner if they are led to believe that their partner has ADHD, regardless of whether or not their partner actually has the disorder (Harris, Milich, Corbitt, Hoover, & Brady, 1992). Others have criticized the use of the diagnostic system because they believe it pathologizes normal behavior in children. Despite these criticisms, the diagnostic system has played a central role in research and treatment of child behavior disorders, and it is unlikely to change substantially in the near future. This section will describe ADHD as a diagnostic category and discuss controversies surrounding the legitimacy of this disorder. ADHD is the most commonly diagnosed childhood behavior disorder. It affects 3% to 7% of children in the United States (American Psychiatric Association, 2000), and approximately 65% of children diagnosed with ADHD will continue to experience symptoms as adults (Faraone, Biederman, & Mick, 2006). The core symptoms of ADHD are organized into two clusters, including clusters of hyperactivity/impulsivity and inattention. The hyperactive symptom cluster describes children who are perpetually in motion even during times when they are expected to be still, such as during class or in the car. The impulsive symptom cluster describes difficulty in delaying response and acting without considering the repercussions of behavior. Hyperactive and impulsive symptoms are closely related, and boys are more likely than girls to experience symptoms from this cluster (Hartung & Widiger, 1998). Inattentive symptoms describe difficulty with organization and task follow-through, as well as a tendency to be distracted by external stimuli. Two children diagnosed with ADHD can have very different symptom presentations. In fact, children can be diagnosed with different subtypes of the disorder (i.e., Combined Type, Predominantly Inattentive Type, or Predominantly Hyperactive-Impulsive Type) according to the number of symptoms they have in each cluster. The symptoms must significantly impair the child’s functioning in important life domains (e.g., school, home). The symptoms must be inappropriate for the child’s developmental level. One goal of this module will be to examine whether ADHD meets the criteria of a “true” disorder. The first criterion states that children with ADHD should show impairment in major functional domains. This is certainly true for children with ADHD. These children have lower academic achievement compared with their peers. They are more likely to repeat a grade or be suspended and less likely to graduate from high school (Loe & Feldman, 2007). Children with ADHD are often unpopular among their peers, and many of these children are actively disliked and socially rejected (Landau, Milich, & Diener, 1998). Children with ADHD are likely to experience comorbid psychological problems such as learning disorders, depression, anxiety, and oppositional defiant disorder. As they grow up, adolescents and adults with ADHD are at risk to abuse alcohol and other drugs (Molina & Pelham, 2003) and experience other adverse outcomes (see Focus Topic 1). In sum, there is sufficient evidence to conclude that children diagnosed with ADHD are significantly impaired by their symptoms. Despite the list of negative outcomes associated with adult ADHD, adults with the disorder are not doomed to live unfulfilling lives of limited accomplishment. Many adults with ADHD have benefited from treatment and are able to overcome their symptoms. For example, pharmacological treatment of adult ADHD has been shown to reduce risk of criminal behavior (Lichtenstein et al., 2012). Others have succeeded by avoiding careers in which their symptoms would be particularly problematic (e.g., those with heavy organizational demands). In any case, it is important that people with ADHD are identified and treated early, because early treatment predicts more positive outcomes in adulthood (Kessler et al., 2006). It is also important to determine that a child’s symptoms are not caused by normal patterns of development. Many of the behaviors that are diagnostic of ADHD in some children would be considered developmentally appropriate for a younger child. This is true for many psychological and psychiatric disorders in childhood. For example, bedwetting is quite common in 3-year-old children; at this age, most children have not gained control over nighttime urination. For this reason, a 3-year-old child who wets the bed would not be diagnosed with enuresis (i.e., the clinical term for chronic bedwetting), because his or her behavior is developmentally appropriate. Bedwetting in an 8-year-old child, however, is developmentally inappropriate. At this age, children are expected to remain dry overnight, and failure to master this skill would prevent children from sleeping over at friends’ houses or attending overnight camps. A similar example of developmentally appropriate versus inappropriate hyperactivity and noncompliance is provided in Focus Topic 2. Michael, a 4-year-old boy, was referred to a child psychologist to be evaluated for ADHD. His parents reported that Michael would not comply with their instructions. They also complained that Michael would not remain seated during “quality time” with his father. The evaluating psychologist interviewed the family, and by all accounts Michael was noncompliant and often left his seat. Specifically, when Michael’s mother asked him to prepare his preschool lunch, Michael would leave the kitchen and play with his toys soon after opening his lunch box. Further, the psychologist found that quality time involved Michael and his father sitting down for several hours to watch movies. In other settings, such as preschool, Michael was compliant with his teacher’s request and no more active than his peers. In this case, Michael’s parents held unrealistic expectations for a child at Michael’s developmental level. The psychologist would likely educate Michael’s parents about normative child development rather than diagnosing Michael with ADHD. Jake, a 10-year-old boy, was referred to the same psychologist as Michael. Jake’s mother was concerned because Jake was not getting ready for school on time. Jake also had trouble remaining seated during dinner, which interrupted mealtime for the rest of the family. The psychologist found that in the morning, Jake would complete one or two steps of his routine before he became distracted and switched activities, despite his mother’s constant reminders. During dinnertime, Jake would leave his seat between 10 and 15 times over the course of the meal. Jake’s teachers were worried because Jake was only able to complete 50% of his homework. Further, his classmates would not pick Jake for team sports during recess because he often became distracted and wondered off during the game. In this case, Jake’s symptoms would not be considered developmentally appropriate for a 10-year-old child. Further, his symptoms caused him to experience impairment at home and school. Unlike Michael, Jake probably would be diagnosed with ADHD. Why Do Some Children Develop Behavior Disorders? The reasons that some children develop ADHD are complex, and it is generally recognized that a single cause is insufficient to explain why an individual child does or does not have the disorder. Researchers have attempted to identify risk factors that predispose a child to develop ADHD. These risk factors range in scope from genetic (e.g., specific gene polymorphisms) to familial (e.g., poor parenting) to cultural (e.g., low socioeconomic status). This section will identify some of the risk factors that are thought to contribute to ADHD. It will conclude by reviewing some of the more controversial ideas about the causes of ADHD, such as poor parenting and children’s diets, and review some of the evidence pertaining to these causes. Most experts believe that genetic and neurophysiological factors cause the majority of ADHD cases. Indeed, ADHD is primarily a genetic disorder—twin studies find that whether or not a child develops ADHD is due in large part (75%) to genetic variations (Faraone et al., 2005). Further, children with a family history of ADHD are more likely to develop ADHD themselves (Faraone & Biederman, 1994). Specific genes that have been associated with ADHD are linked to neurotransmitters such as dopamine and serotonin. In addition, neuroimagining studies have found that children with ADHD show reduced brain volume in some regions of the brain, such as the prefrontal cortex, the corpus callosum, the anterior cingulate cortex, the basal ganglia, and the cerebellum (Seidman, Valera, & Makris, 2005). Among their other functions, these regions of the brain are implicated in organization, impulse control, and motor activity, so the reduced volume of these structures in children with ADHD may cause some of their symptoms. Although genetics appear to be a main cause of ADHD, recent studies have shown that environmental risk factors may cause a minority of ADHD cases. Many of these environmental risk factors increase the risk for ADHD by disrupting early development and compromising the integrity of the central nervous system. Environmental influences such as low birth weight, malnutrition, and maternal alcohol and nicotine use during pregnancy can increase the likelihood that a child will develop ADHD (Mick, Biederman, Faraone, Sayer, & Kleinman, 2002). Additionally, recent studies have shown that exposure to environmental toxins, such as lead and pesticides, early in a child’s life may also increase risk of developing ADHD (Nigg, 2006). Controversial explanations for the development of ADHD have risen and fallen in popularity since the 1960s. Some of these ideas arise from cultural folklore, others can be traced to “specialists” trying to market an easy fix for ADHD based on their proposed cause. Some other ideas contain a kernel of truth but have been falsely cast as causing the majority of ADHD cases. Some critics have proposed that poor parenting is a major cause of ADHD. This explanation is popular because it is intuitively appealing—one can imagine how a child who is not being disciplined at home may be noncompliant in other settings. Although it is true that parents of children with ADHD use discipline less consistently, and a lack of structure and discipline in the home can exacerbate symptoms in children with ADHD (Campbell, 2002), it is unlikely that poor parenting alone causes ADHD in the first place. To the contrary, research suggests that the noncompliance and impulsivity on the child’s part can cause caregivers to use discipline less effectively. In a classic series of studies, Cunningham and Barkley (1979) showed that mothers of children with ADHD were less attentive to their children and imposed more structure to their playtime relative to mothers of typically developing children. However, these researchers also showed that when the children were given stimulant medication, their compliance increased and their mothers’ parenting behavior improved to the point where it was comparable to that of the mothers of children without ADHD (Barkley & Cunningham, 1979). This research suggests that instead of poor parenting causing children to develop ADHD, it is the stressful effects of managing an impulsive child that causes parenting problems in their caregivers. One can imagine how raising a child with ADHD could be stressful for parents. In fact, one study showed that a brief interaction with an impulsive and noncompliant child caused parents to increase their alcohol consumption—presumably these parents were drinking to cope with the stress of dealing with the impulsive child (Pelham et al., 1997). It is, therefore, important to consider the reciprocal effects of noncompliant children on parenting behavior, rather than assuming that parenting ability has a unidirectional effect on child behavior. Other purported causes of ADHD are dietary. For example, it was long believed that excessive sugar intake can cause children to become hyperactive. This myth is largely disproven (Milich, Wolraich, & Lindgren, 1986). However, other diet-oriented explanations for ADHD, such as sensitivity to certain food additives, have been proposed (Feingold, 1976). These theories have received a bit more support than the sugar hypothesis (Pelsser et al., 2011). In fact, the possibility that certain food additives may cause hyperactivity in children led to a ban on several artificial food colorings in the United Kingdom, although the Food and Drug Administration rejected similar measures in the United States. Even if artificial food dyes do cause hyperactivity in a subgroup of children, research does not support these food additives as a primary cause of ADHD. Further, research support for elimination diets as a treatment for ADHD has been inconsistent at best. In sum, scientists are still working to determine what causes children to develop ADHD, and despite substantial progress over the past four decades, there are still many unanswered questions. In most cases, ADHD is probably caused by a combination of genetic and environmental factors. For example, a child with a genetic predisposition to ADHD may develop the disorder after his or her mother uses tobacco during her pregnancy, whereas a child without the genetic predisposition may not develop the disorder in the same environment. Fortunately, the causes of ADHD are relatively unimportant for the families of children with ADHD who wish to receive treatment, because what caused the disorder for an individual child generally does not influence how it is treated. There are several types of evidence-based treatment available to families of children with ADHD. The type of treatment that might be used depends on many factors, including the child’s diagnosis and treatment history, as well as parent preference. To treat children with less severe noncompliance problems, parents can be trained to systematically use contingency management (i.e., rewards and punishments) to manage their children’s behavior more effectively (Kazdin, 2005). For the children with ADHD, however, more intensive treatments often are necessary. The most common method of treating ADHD is to prescribe stimulant medications such as Adderall™. These medications treat many of the core symptoms of ADHD—treated children will show improved impulse control, time-on-task, and compliance with adults, and decreased hyperactivity and disruptive behavior. However, there are also negative side effects to stimulant medication, such as growth and appetite suppression, increased blood pressure, insomnia, and changes in mood (Barkley, 2006). Although these side effects can be unpleasant for children, they can often be avoided with careful monitoring and dosage adjustments. Opinions differ on whether stimulants should be used to treat children with ADHD. Proponents argue that stimulants are relatively safe and effective, and that untreated ADHD poses a much greater risk to children (Barkley, 2006). Critics argue that because many stimulant medications are similar to illicit drugs, such as cocaine and methamphetamine, long-term use may cause cardiovascular problems or predispose children to abuse illicit drugs. However, longitudinal studies have shown that people taking these medications are not more likely to experience cardiovascular problems or to abuse drugs (Biederman, Wilens, Mick, Spencer, & Faraone, 1999; Cooper et al., 2011). On the other hand, it is not entirely clear how long-term stimulant treatment can affect the brain, particularly in adults who have been medicated for ADHD since childhood. Finally, critics of psychostimulant medication have proposed that stimulants are increasingly being used to manage energetic but otherwise healthy children. It is true that the percentage of children prescribed stimulant medication has increased since the 1980s. This increase in use is not unique to stimulant medication, however. Prescription rates have similarly increased for most types of psychiatric medication (Olfson, Marcus, Weissman, & Jensen, 2002). As parents and teachers become more aware of ADHD, one would expect that more children with ADHD will be identified and treated with stimulant medication. Further, the percentage of children in the United States being treated with stimulant medication is lower than the estimated prevalence of children with ADHD in the general population (Nigg, 2006). Parenting children with ADHD can be challenging. Parents of these children are understandably frustrated by their children’s misbehavior. Standard discipline tactics, such as warnings and privilege removal, can feel ineffective for children with ADHD. This often leads to ineffective parenting, such as yelling at or ridiculing the child with ADHD. This cycle can leave parents feeling hopeless and children with ADHD feeling alienated from their family. Fortunately, parent management training can provide parents with a number of tools to cope with and effectively manage their child’s impulsive and oppositional behavior. Parent management training teaches parents to use immediate, consistent, and powerful consequences (i.e., rewards and punishment), because children with ADHD respond well to these types of behavioral contingencies (Luman, Oosterlaan, & Sergeant, 2005). Other, more intensive, psychosocial treatments use similar behavioral principles in summer camp–based settings (Pelham, Fabiano, Gnagy, Greiner, & Hoza, 2004), and school-based intervention programs are becoming more popular. A description of a school-based intervention program for ADHD is described in Focus Topic 3. This program allows a student to earn tokens (points, stars, etc.) by meeting behavioral goals and not breaking rules. These tokens act as secondary reinforcers because they can be redeemed for privileges or goods. Parents and teachers work with the students to identify problem behaviors and create concrete behavioral goals. For example, if a student is disruptive during silent reading time, then a goal might be for him or her to remain seated for at least 80% of reading time. Token reinforcement programs are most effective when tokens are provided for appropriate behavior and removed for inappropriate behavior. Time out can be an effective punishment when used correctly. Teachers should place a student in time out only when they fail to respond to token removal or if they engage in a severely disruptive behavior (e.g., physical aggression). When placed in time out, the student should not have access to any type of reinforcement (e.g., toys, social interaction), and the teacher should monitor their behavior throughout time out. The teacher keeps track of whether or not the student meets his or her goals and records this information on a report card. This information is sent home with the student each day so parents can integrate the student’s performance at school into a home-based contingency management program. Students with ADHD often show deficits in specific academic skills (e.g., reading skills, math skills), and these deficits can be improved through direct intervention. Students with ADHD may spend several hours each week working one-on-one with an educator to improve their academic skills. Environmental accommodations can also help a student with ADHD be successful. For example, a student who has difficulty focusing during a test can be allowed extra time in a low-distraction setting. Recently, a large-scale study, the Multimodal Treatment Study (MTA) of Children with ADHD, compared pharmacological and behavioral treatment of ADHD (MTA Cooperative Group, 1999). This study compared the outcomes of children with ADHD in four different treatment conditions, including standard community care, intensive behavioral treatment, stimulant medication management, and the combination of intensive behavioral treatment and stimulant medication. In terms of core symptom relief, stimulant medication was the most effective treatment, and combined treatment was no more effective than stimulant medication alone (MTA Cooperative Group, 1999). Behavioral treatment was advantageous in other ways, however. For example, children who received combined treatment were less disruptive at school than children receiving stimulant medication alone (Hinshaw et al., 2000). Other studies have found that children who receive behavioral treatment require lower doses of stimulant medication to achieve the desired outcomes (Pelham et al., 2005). This is important because children are better able to tolerate lower doses of stimulant medication. Further, parents report being more satisfied with treatment when behavioral management is included as a component in the program (Jensen et al., 2001). In sum, stimulant medication and behavioral treatment each have advantages and disadvantages that complement the other, and the best outcomes likely occur when both forms of treatment are used to improve children’s behavior. It is difficult to predict the future; however, based on trends in research and public discourse, we can predict how the field may change as time progresses. This section will discuss two areas of research and public policy that will shape how we understand and treat ADHD in the coming decades. It is no secret that many of the drugs used to treat ADHD are popular drugs of abuse among high school and college students, and this problem seems to be getting worse. The rate of illicit stimulant use has steadily risen over the past several decades (Teter, McCabe, Cranford, Boyd, & Guthrie, 2005), and it is probably not a coincidence that prescription rates for stimulant medication have increased during the same time period (Setlik, Bond, & Ho, 2009). Students who abuse stimulants often report doing so because they act as an academic performance enhancer by boosting alertness and concentration. Although they may enhance performance in the short term, nonmedical use of these drugs can lead to dependence and other adverse health consequences, especially when taken in ways other than prescribed (e.g., crushed and snorted) (Volkow & Swanson, 2003). Stimulants can be particularly dangerous when they are taken without supervision from a physician, because this may lead to adverse drug interactions or side effects. Because this increase in prescription stimulant abuse represents a threat to public health, an important goal for policy makers will be to reduce the availability of prescription stimulants to those who would use them for nonmedical reasons. One of the first steps for addressing prescription stimulant abuse will be understanding how illicit users gain access to medication. Probably the most common method of obtaining stimulants is through drug diversion. The majority of college students who abuse stimulants report obtaining them from peers with valid prescriptions (McCabe & Boyd, 2005). Another way that would-be abusers may gain access to medication is by malingering (i.e., faking)symptoms of ADHD (Quinn, 2003). These individuals will knowingly exaggerate their symptoms to a physician in order to obtain a prescription. Other sources of illicit prescription drugs have been identified (e.g., pharmacy websites) (Califano, 2004), but more research is needed to understand how much these sources contribute to the problem. As we gain an understanding of how people gain access to illicit medication, policy makers and researchers can make efforts to curtail the rate of stimulant misuse. For example, because drug diversion is a major source of illicit stimulants, policymakers have enacted prescription monitoring programs to keep track of patient’s prescription-seeking behavior (Office of Drug Control Policy, 2011), and, in some cases, patients are required to pass drug screens before receiving their prescriptions. To address malingering, researchers are working to develop psychological tests that can identify individuals who are faking symptoms (Jasinski et al., 2011). Finally, pharmacologists are working to develop stimulant medications that do not carry the same risk of abuse as the currently available drugs (e.g., lisdexamfetamine) (Biederman et al., 2007). Although all of these measures will reduce illicit users’ access to stimulant medication, it is important to consider how the policies will affect access among people who need these medications to treat their ADHD symptoms. Prescription tracking programs may reduce physicians’ willingness to prescribe stimulants out of fear of being investigated by law enforcement. Patients with ADHD with comorbid substance abuse problems may be denied access to stimulant medication because they are considered high risk for drug diversion. Similarly, lengthy psychological evaluations to assess for malingering and mandated drug screenings may be prohibitively expensive for less affluent individuals with ADHD. These measures to reduce illicit drug use are necessary from a public health perspective, but as we move forward and enact policies to reduce stimulant abuse, it will be equally important to consider impact of such legislation on patients’ access to treatment. Much of the research on ADHD has been conducted to answer several deceptively complex questions: What causes ADHD? How are people with ADHD different from their typically developing peers? How can ADHD be prevented or treated? Historically, our tools for answering these questions was limited to observing outward human behavior, and our ability to ask questions about the physiology of ADHD was severely limited by the technology of the time. In the past two decades, however, rapid advances in technology (e.g., functional magnetic resonance imaging, genetic analysis) have allowed us to probe the physiological bases of human behavior. An exciting application of this technology is that we are able to extend our understanding of ADHD beyond basic behavior; we are learning about the underlying neurophysiology and genetics of the disorder. As we gain a fuller understanding of ADHD, we may be able to apply this knowledge to improve prevention and treatment of the disorder. Knowledge of the underlying physiology of ADHD may guide efforts to develop new nonstimulant medications, which may not carry the side effects or abuse potential of traditional stimulants. Similarly, these advances may improve our ability to diagnose ADHD. Although it is extremely unlikely that a perfectly accurate genetic or neuroimaging test for ADHD will ever be developed (Thome et al., 2012), such procedures could be used in conjunction with behavioral evaluation and questionnaires to improve diagnostic accuracy. Finally, identifying genetic traits that predispose children to develop ADHD may allow physicians to use targeted prevention programs that could reduce the chances that children at risk for developing the disorder will experience symptoms. Does ADHD meet the definition of a psychiatric disorder? Explain the difference between developmentally appropriate and developmentally inappropriate behavior problems. Do you believe that it is ethical to prescribe stimulant medication to children? Why or why not? What are the risks associated with withholding stimulant medication from children with ADHD? How should society balance the need to treat individuals with ADHD using stimulants with public health concerns about the abuse of these same medications? A reward or punishment that systematically follows a behavior. Parents can use contingencies to modify their children’s behavior. When a drug that is prescribed to treat a medical condition is given to another individual who seeks to use the drug illicitly. Fabrication or exaggeration of medical symptoms to achieve secondary gain (e.g., receive medication, avoid school). A childhood behavior disorder that is characterized by stubbornness, hostility, and behavioral defiance. This disorder is highly comorbid with ADHD. A treatment for childhood behavior problems that teaches parents how to use contingencies to more effectively manage their children’s behavior. To define a trait or collection of traits as medically or psychologically unhealthy or abnormal. American Psychiatric Association. (2000). Diagnostic and statistical manual of mental disorders (4th ed., text revision.). Washing DC: Author. Barkley, R. A. (2006). Attention-deficit/hyperactivity disorder: A handbook for diagnosis and treatment (3rd ed.). New York, NY: Guilford Press. Barkley, R. A., & Cunningham, C. E. (1979). Effects of methylphenidate on the mother-child interactions of hyperactive children. Archives of General Psychiatry, 36, 201–208. Barkley, R. A., Fischer, M., Smallish, L., & Fletcher, K. (2006). Young adult outcome of hyperactive children: Adaptive functioning in major life activities. Journal of the American Academy of Child and Adolescent Psychiatry, 45, 192–202. Biederman, J., Boellner, S. W., Childress, A., Lopez, F. A., Krishnan, S., & Zhang, Y. X. (2007). Lisdexamfetamine dimesylate and mixed amphetamine salts extended-release in children with ADHD: A double-blind, placebo-controlled, crossover analog classroom study. Biological Psychiatry, 62, 970–976. Biederman, J., Faraone, S. V., Spencer, T. J., Mick, E., Monuteaux, M. C., & Aleardi, M. (2006). Functional impairments in adults with self-reports of diagnosed ADHD: A controlled study of 1,001 adults in the community. Journal of Clinical Psychiatry, 67, 524–540. Biederman, J., Wilens, T., Mick, E., Spencer, T., & Faraone, S. V. (1999). Pharmacotherapy of attention-deficit/hyperactivity disorder reduces risk for substance use disorder. Pediatrics, 104, 20. Califano, J. (2004). You’ve got drugs! Prescription drug pushers on the Internet. A CASA white paper. The National Center on Addiction and Substance Abuse. New York, NY: Columbia University. Campbell, S. B. (2002). Behavior problems in preschool children. (2nd ed.). New York, NY: Guilford Press. Cooper, W. O., Habel, L. A., Sox, C. M., Chan, K. A., Arbogast, P. G., Cheetham, C., … Ray, W. A. (2011). ADHD drugs and serious cardiovascular events in children and young adults. New England Journal of Medicine, 365, 1896–1904. Cortese, S., Angriman, M., Maffeis, C., Isnard, P., Konofal, E., Lecendreux, M., … Mouren, M. C. (2008). Attention-deficit/hyperactivity disorder (ADHD) and obesity: A systematic review of the literature. Critical Reviews in Food Science and Nutrition, 48, 524–537. Cunningham, C. E., & Barkley, R. A. (1979). Interactions of normal and hyperactive children with their mothers in free play and structured tasks. Child Development, 50, 217–224. Faraone, S. V., & Biederman, J. (1994). Is attention-deficit hyperactivity disorder familial? Harvard Review of Psychiatry, 1, 271–287. Faraone, S. V., Biederman, J., & Mick, E. (2006). The age-dependent decline of attention deficit hyperactivity disorder: A meta-analysis of follow-up studies. Psychological Medicine, 36, 159–165. Faraone, S. V., Perlis, R. H., Doyle, A. E., Smoller, J. W., Goralnick, J. J., Holmgren, M. A., & Sklar, P. (2005). Molecular genetics of attention-deficit/hyperactivity disorder. Biological Psychiatry, 57, 1313–1323. Feingold, B. F. (1976). Hyperkinesis and learning disabilities linked to the ingestion of artificial food colors and flavors. Journal of Learning Disabilities, 9, 551–559. Flory, K., Molina, B. S. G., Pelham, W. E., Gnagy, E., & Smith, B. (2006). Childhood ADHD predicts risky sexual behavior in young adulthood. Journal of Clinical Child and Adolescent Psychology, 35, 571–577. Harris, M. J., Milich, R., Corbitt, E. M., Hoover, D. W., & Brady, M. (1992). Self-fulfilling effects of stigmatizing information on children’s social interactions. Journal of Personality and Social Psychology, 63, 41–50. Hartung, C. M., & Widiger, T. A. (1998). Gender differences in the diagnosis of mental disorders: Conclusions and controversies of the DSM-IV. Psychological Bulletin, 123, 260–278. Hinshaw, S. P., Owens, E. B., Wells, K. C., Kraemer, H. C., Abikoff, H. B., Arnold, E. L., … Wigal, T. (2000). Family processes and treatment outcome in the MTA: Negative/ineffective parenting practices in relation to multimodal treatment. Journal of Abnormal Child Psychology, 28, 555–568. Jasinski, L. J., Harp, J. P., Berry, D. T. R., Shandera-Ochsner, A. L., Mason, L. H., & Ranseen, J. D. (2011). Using symptom validity tests to detect malingered ADHD in college students. Clinical Neuropsychologist, 25, 1415–1428. Jensen, P. S., Hinshaw, S. P., Swanson, J. M., Greenhill, L. L., Conners, C. K., Arnold, L. E., … Wigal, T. (2001). Findings from the NIMH Multimodal Treatment Study of ADHD (MTA): Implications and applications for primary care providers. Developmental and Behavioral Pediatrics, 22, 60-73. Kazdin, A. E. (2005). Parent management training: Treatment for oppositional, aggressive, and antisocial behavior in children and adolescents. New York, NY: Oxford University Press. Kessler, R. C., Adler, L., Barkley, R., Biederman, J., Conners, C. K., Demler, O., … Zaslavsky, A. M. (2006). The prevalence and correlates of adult ADHD in the United States: Results from the National Comorbidity Survey Replication. American Journal of Psychiatry, 163, 716–723. Landau, S., Milich, R., & Diener, M. B. (1998). Peer relations of children with attention-deficit hyperactivity disorder. Reading & Writing Quarterly, 14, 83–105. Lichtenstein, P., Halldner, L., Zetterqvist, J., Sjölander, A., Serlachius, E., Fazel, S., … Larsson, H. (2012). Medication for attention deficit-hyperactivity disorder and criminality. New England Journal of Medicine, 367, 2006–2014. Loe, I. M., & Feldman, H. M. (2007). Academic and educational outcomes of children with ADHD. Ambulatory Pediatrics, 7, 82–90. Luman, M., Oosterlaan, J., & Sergeant, J. A. (2005). The impact of reinforcement contingencies on AD/HD: A review and theoretical appraisal. Clinical Psychology Review, 25, 183–213. MTA Cooperative Group (1999). A 14-month randomized clinical trial of treatment strategies for attention-deficit/hyperactivity disorder. Archives of General Psychiatry, 56, 1073–1086. McCabe, S. E., & Boyd, C. J. (2005). Sources of prescription drugs for illicit use. Addictive Behaviors, 30, 1342–1350. Mick, E., Biederman, J., Faraone, S. V., Sayer, J., & Kleinman, S. (2002). Case-control study of attention-deficit hyperactivity disorder and maternal smoking, alcohol use, and drug use during pregnancy. Journal of the American Academy of Child and Adolescent Psychiatry, 41, 378–385. Milich, R., Wolraich, M., & Lindgren, S. (1986). Sugar and hyperactivity: A critical review of empirical findings. Clinical Psychology Review, 6, 493–513. Molina, B. S. G., & Pelham, W. E. (2003). Childhood predictors of adolescent substance use in a longitudinal study of children with ADHD. Journal of Abnormal Psychology, 112, 497–507. Nigg, J. T. (2006). What causes ADHD? Understanding what goes wrong and why. New York, NY: The Guilford Press. Olfson, M., Marcus, S. C., Weissman, M. M., & Jensen, P. S. (2002). National trends in the use of psychotropic medications by children. Journal of the American Academy of Child and Adolescent Psychiatry, 41, 514–521. Pelham, W. E., Burrows-MacLean, L., Gnagy, E. M., Fabiano, G. A., Coles, E. K., Tresco, K. E., … Hoffman, M. T. (2005). Transdermal methylphenidate, behavioral, and combined treatment for children with ADHD. Experimental and Clinical Psychopharmacology, 13, 111–126. Pelham, W. E., Fabiano, G. A., Gnagy, E. M., Greiner, A. R., & Hoza, B. (2004). Intensive treatment: Summer treatment program for children with ADHD. In E. D. Hibbs, & P. S. Jensen (Eds. ), Psychosocial treatments for children and adolescent disorders: Empirically based strategies for clinical practice (pp. 311–340). Washington, DC: American Psychological Association Press. Pelham, W. E., Lang, A. R., Atkeson, B., Murphy, D. A., Gnagy, E. M., Greiner, A. R., … Greenslade, K. E. (1997). Effects of deviant child behavior on parental distress and alcohol consumption in laboratory interactions. Journal of Abnormal Child Psychology, 25, 413–424. Pelsser, L. M., Frankena, K., Toorman, J., Savelkoul, H. F., Dubois, A. E., Pereira, R. R., … Buitelaar, J. K. (2011). Effects of a restricted elimination diet on the behaviour of children with attention-deficit hyperactivity disorder (INCA study): A randomised controlled trial. Lancet, 377, 494–503. Quinn, C. A. (2003). Detection of malingering in assessment of adult ADHD. Archives of Clinical Neuropsychology, 18(4), 379–395. Seidman, L. J., Valera, E. M., & Makris, N. (2005). Structural brain imaging of attention-deficit/hyperactivity disorder. Biological Psychiatry, 57, 1263–1272. Setlik, J., Bond, G. R., & Ho, M. (2009). Adolescent prescription ADHD medication abuse Is rising along with prescriptions for these medications. Pediatrics, 124, 875–880. Still, G. F. (1902). Some abnormal psychical conditions in children: The Goulstonian lectures. Lancet, 1, 1008–1012. Teter, C. J., McCabe, S. E., Cranford, J. A., Boyd, C. J., & Guthrie, S. K. (2005). Prevalence and motives for illicit use of prescription stimulants in an undergraduate student sample. Journal of American College Health, 53, 253–262. Thome, J., Ehlis, A. C., Fallgatter, A. J., Krauel, K., Lange, K. W., Riederer, P., … Gerlach, M. (2012). Biomarkers for attention-deficit/hyperactivity disorder (ADHD). A consensus report of the WFSBP task for on biological markers and the World Federation of ADHD. World Journal of Biological Psychiatry, 13, 379–400. Volkow, N. D., & Swanson, J. M. (2003). Variables that affect the clinical use and abuse of methylphenidate in the treatment of ADHD. American Journal of Psychiatry, 160, 1909–1918. Weafer, J., Fillmore, M. T., & Milich, R. (2008). Simulated driving performance of adults with ADHD: Comparisons with alcohol intoxication. Experimental and Clinical Psychopharmacology, 16, 251–263. 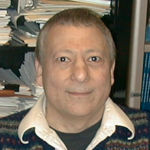 Richard Milich is the Provost’s Distinguished Service Professor in the Department of Psychology at the University of Kentucky. Regarded internationally as one of the leading investigators in the field of ADHD, having over 125 publications in this area. He has won university and national awards for his mentoring of graduate students. 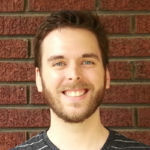 Walter Roberts is a graduate student in the Department of Psychology at the University of Kentucky. His research examines cognitive functioning and substance use in individuals with attention-deficit/hyperactivity disorder. ADHD and Behavior Disorders in Children by Richard Milich and Walter Roberts is licensed under a Creative Commons Attribution-NonCommercial-ShareAlike 4.0 International License. Permissions beyond the scope of this license may be available in our Licensing Agreement.